click all images to make bigger. I have a digital cluster in my turbo 4 runner as of right now. 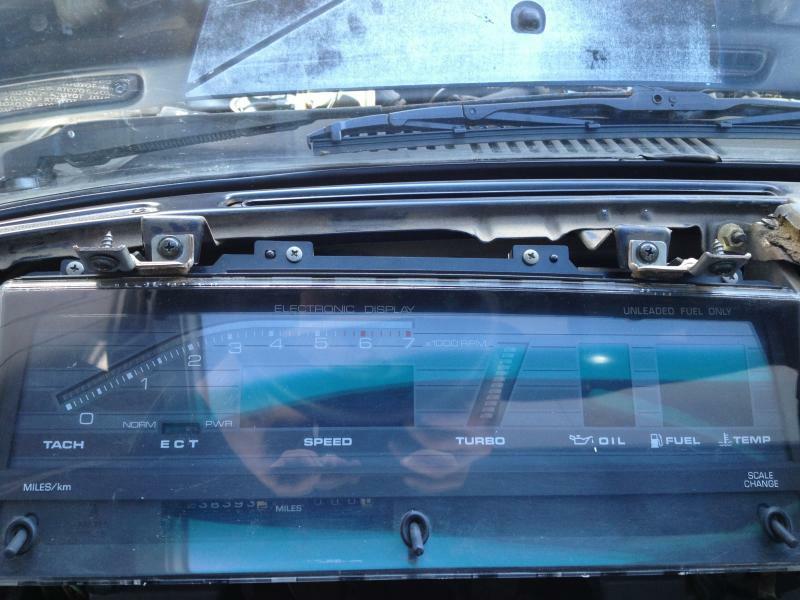 i want to replace it because of this problem (see video) and i don't really like the digital cluster anyways. i have this turbo cluster out of a pickup. what is it going to take to swap out? i have studied all the wiring diagrams and troubleshooting guides for the cluster, but i cant find a diagram like this for the digital cluster. 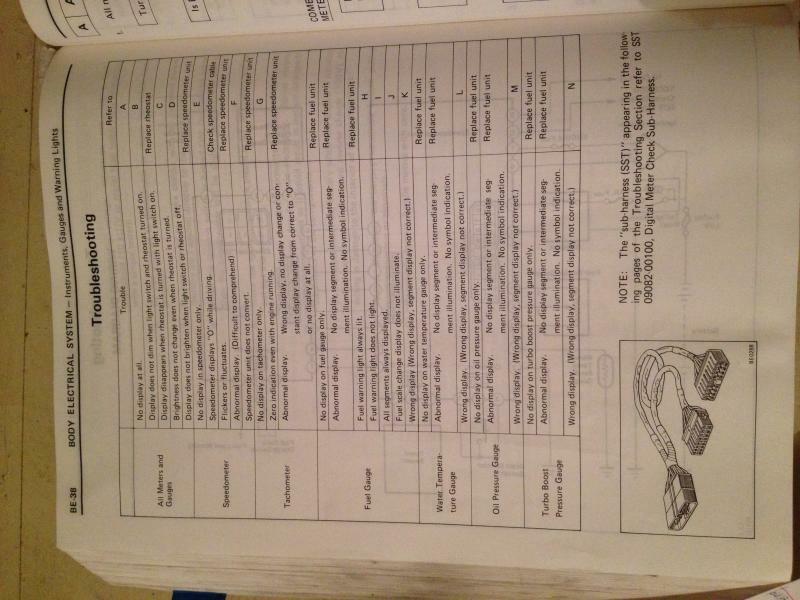 from the wiring diagrams i have gathered that I will need a new fuel sender and a new oil pressure sender. i will also have to splice in the correct plugs. Last edited by weaselman; 04-16-2013 at 12:16 PM. Video doesn't work, you used the thumbnail link. I was under the impression they were P&P, will have to poke around and see if I saved the turbo manuals. i was under the same impression as you, but the plugs are severly different.. the digital has 4 plugs, analog has 3 plugs. and they are different types of plugs. Ok got a new recommendation for worst diagram ever, but it is mostly because it's build up out of screen shots. Way too blury. Won't be much help here. Can tell you the electrical problem with the digital dash should be a simple fix, looks like just a voltage dropout issue so a simple component swap or may just some resoldering. Capacitor or voltage regulator would be my first guess. Don't overlook the charging system either, might not even be a gauge problem. anything would help, i can try to make sense out of it. whats the link? yeah, it seems pretty easy fix, im confident i can/will figure it out, just wanted to see if someone had some advice because they already accomplished this. 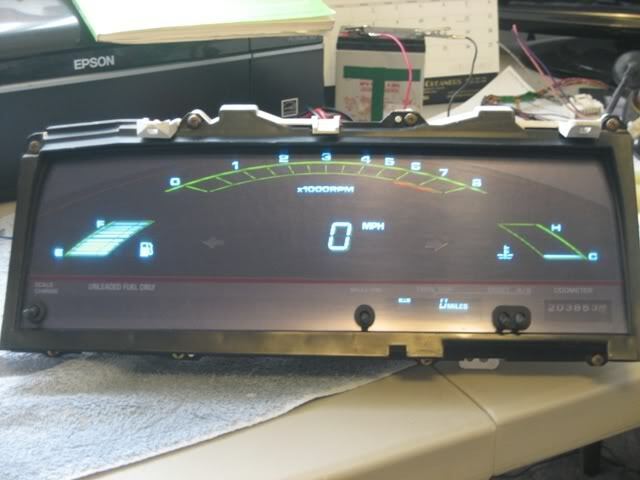 my charging system is putting out 14.5 volts at the battery and 13.8 volts at evey power wire on the 4 connectors for the digital dash. 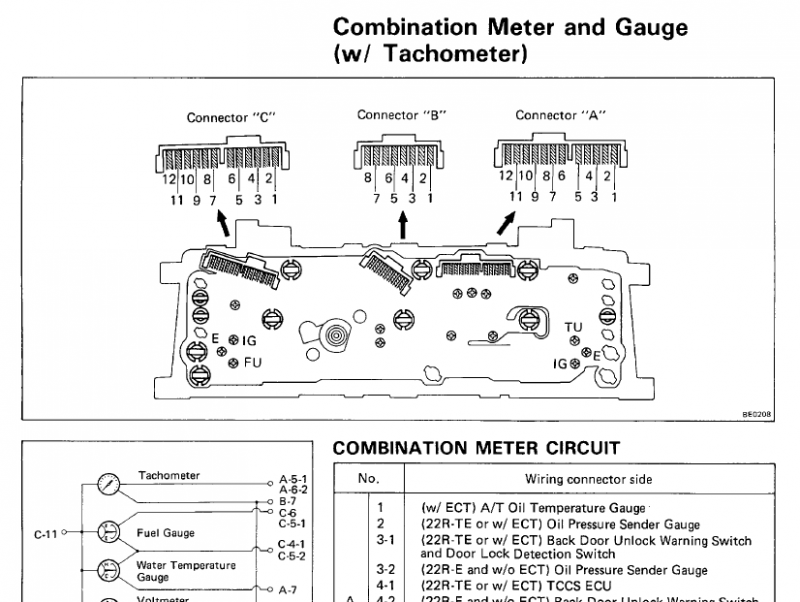 and all grounds have .2 ohms.. i dont know where else to look into fixing my digital cluster. i cant find a lot of info on it. 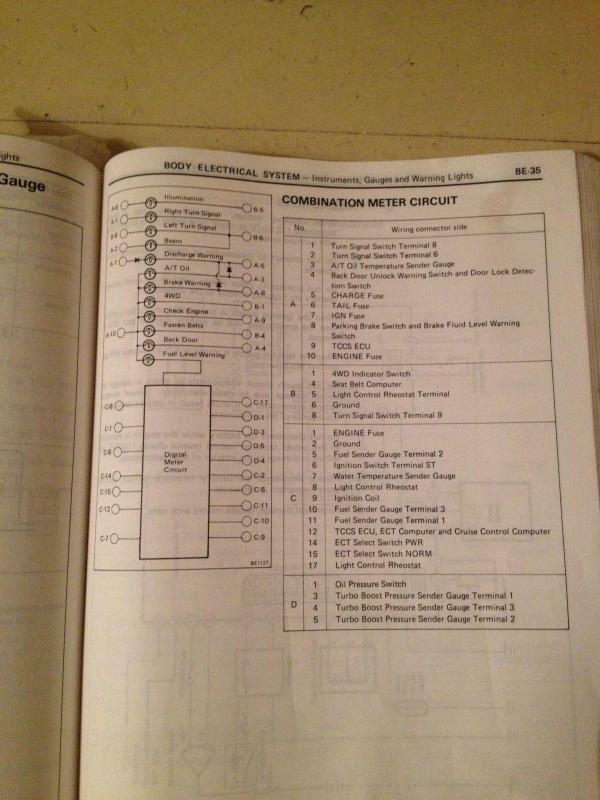 Have you seen the Electrical Wiring Diagram manual? 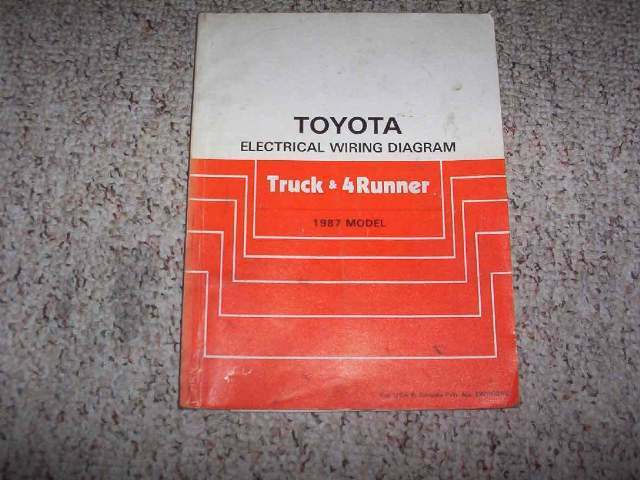 1987 4runner/Pickup EWD Manual. It will have the wiring diagram for the analog and digital gauge. You will also likely need the same manual for the year that your analog came from, UNLESS someone can positively tell you that the wiring in the 87' analog is the same as whatever year your analog is from (88-89?). You may say "i'm sure it is..", but that is not the case with 2nd Gen Toyota Camry's (87'-91'), I know from my own and others experience. There are slight differences. In the Camry world it is rare to have a digital gauge, so when someone finds one at the yard it is common to want to do the opposite of what you want to do. Just like you've noticed with your 4runner, there are different plugs and the wiring is different. 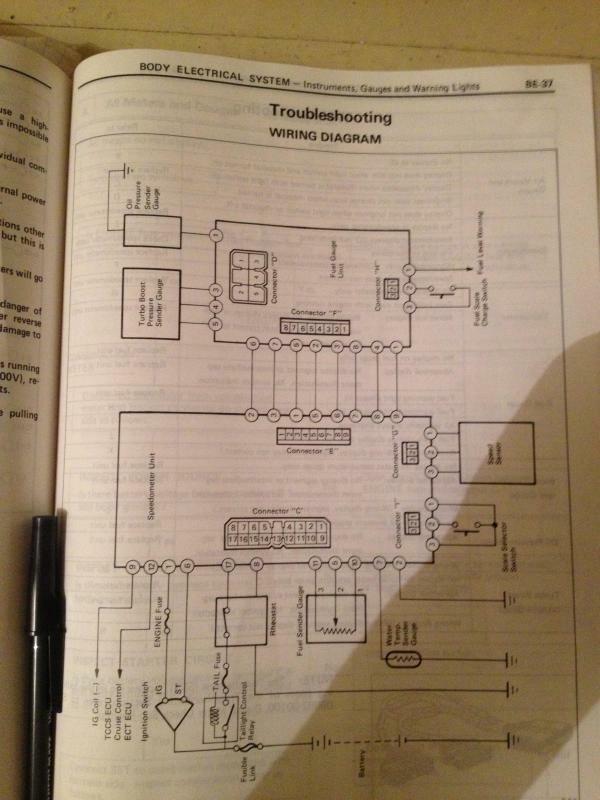 For the most part, with the two diagrams from the manuals, you can rewire to the correct plugs. I started working on mine and then had to stop...wedding took priority. You can see that I have the 87' and 90' electrical manuals. Blue painted fuel gauge senders are the digital ones. Rheostats (dimmer switch) may need to be swapped out also, I know for the Camry it does. Last edited by Grego92; 04-16-2013 at 07:57 AM. Looking at his photos, that appears to be what he's doing. Is that photo of the analog guage not a 2nd gen truck? You may be confusing what I'm doing with my camry, 87-91' are the same generation. 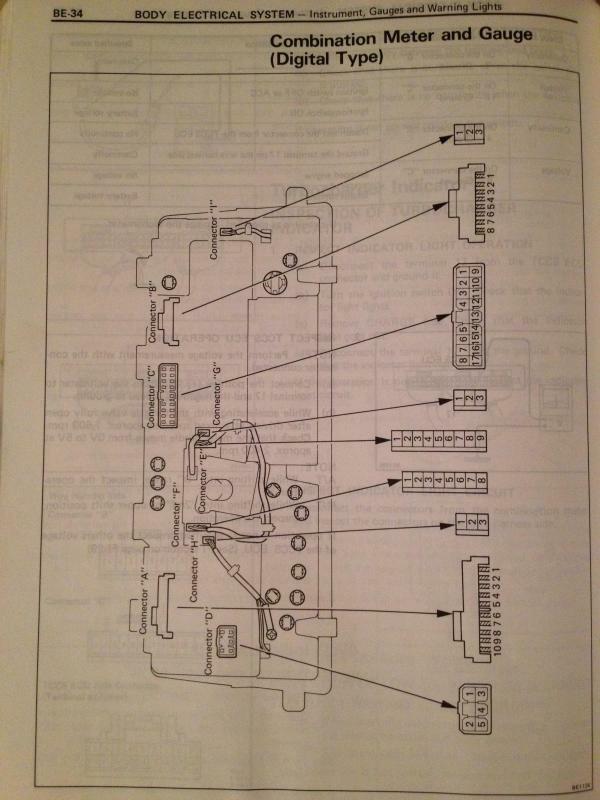 I must loacate this wiring diagram book…I have a Factory service manual for the 87 turbo trucks and runners, but no digital circuit wiring. My digital gauge is out of a 1987 Turbo 4runner. 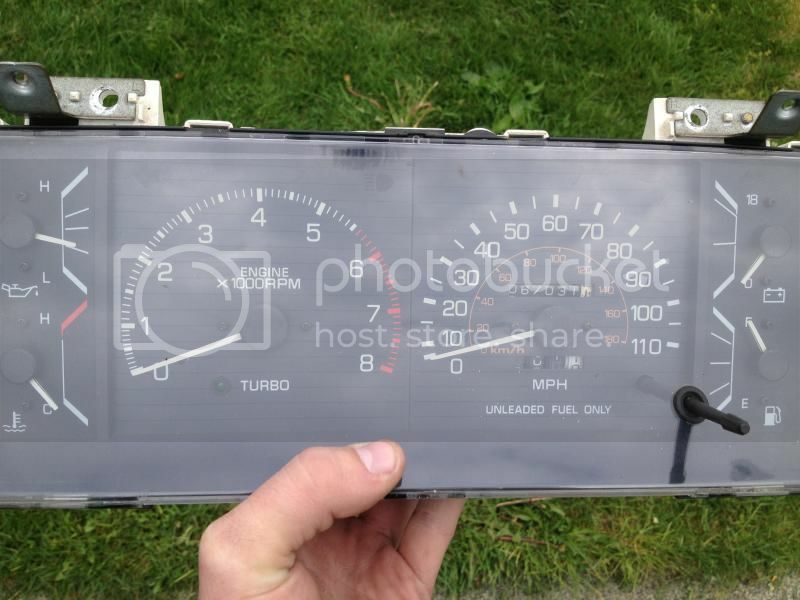 My analog gauge is out of a 1986 Turbo Pickup. Im confident I can swap these, just need to locate some wiring diagrams for the digital cluster. Cluster starts on page 9, digital is the right hand one it doesn't give an internal schematic. Atleast it gives some direction to go in if you're set on swapping. Looks like everything except the fuel and turbo guages swap over. This thread indicates it's a alternator or grounding issue. I'd try monitoring the voltage on plug C1 see if it's spiking or cutting out, and add an AUX ground on C2 to the dash brace. You'll get more cash for your digital dash if ou can sell it as a known working unit I imagine so it's worth trying to solve the issue even if you want to swap them out for astetics. 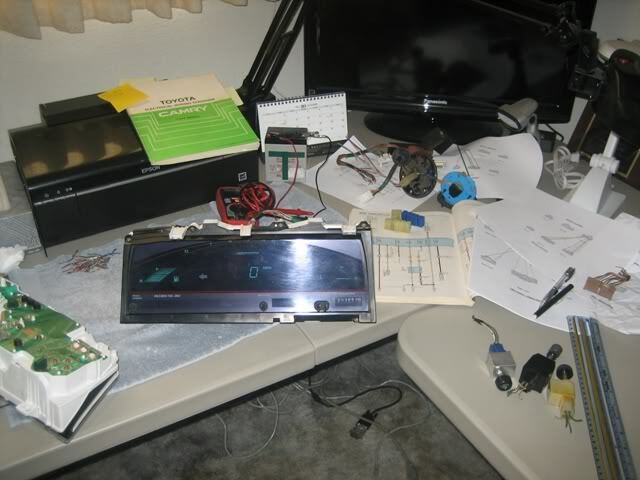 Finally was able to track down come digital cluster wiring and information. I will figure it our from here. Thank you for ALL the help! Nope that's a 1gen cluster on the two gen clusters the small gauges are all horizontal sweep not vertical. ...that and there was no turbo available in the NA market after 87. Last edited by aviator; 04-17-2013 at 05:53 AM. are you chuckin' out the original cluster ? Slacker. I have a party interested in it. UPDATE. I have everything wired and mostly working correctly. Water temp. Volt meter and oil pressure work fine. As well as the tachometer. Have not driven it so I do not know if speedometer works. Problems I am having are that the little turbo light is constantly lit up. I have not wired up the fuel gauge. Last edited by weaselman; 04-17-2013 at 09:55 PM. What is the turbo idiot light for? over boost indication? There is already a green and blue wire in that pin. I am having trouble locating the other end. As it is not up with all the other dash wires. Do you have an idea where it gets routed to? Or am I just going to have to tap into it? It's a green LED so I'm pretty sure it just means the turbo is boosting. The definitely should have incorporated a gauge like they did with the digital cluster. i fixed it before taking it out, it was a bad grounding issue. i realized that after i did my trans swap i only connected the battery to the body, not any other ground. UPDATE: I have everything working except for the fuel gauge (need a new sender for the gauge). I even put LED's to light up the dash!.